I was recently asked to donate a small work of art for our local Deschutes Children’s Foundation for their annual Art and Wine Auction in May. Since it is spring, I decided to paint small flower works. The first one turned out so wonderful, I painted another, and felt like I could paint about 10 more! Sunnyside Up, 5×7, Donation to Deschutes Children’s Foundation. 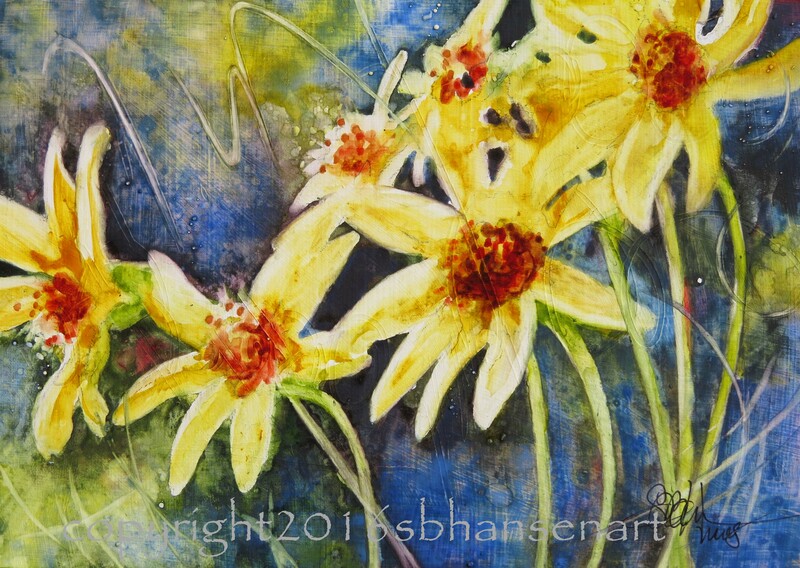 I’m donating the beautiful yellow flowers for the auction, and selling the tulip painting. 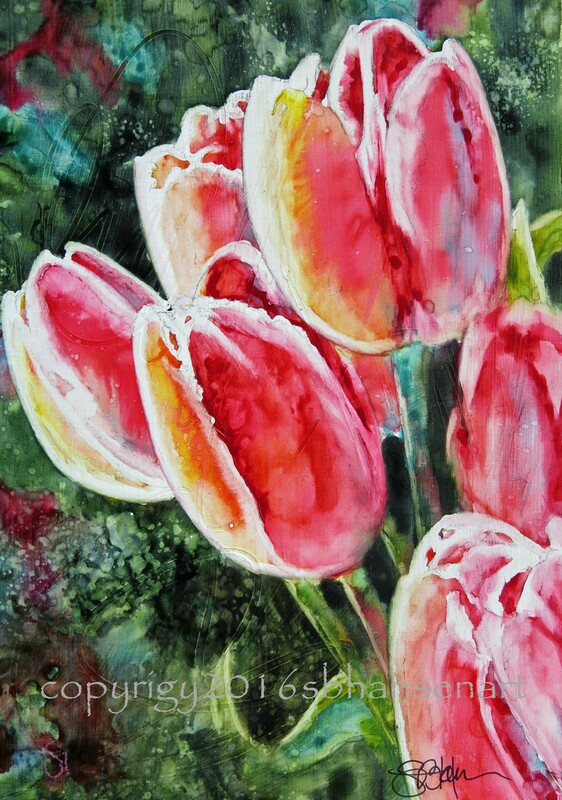 You can purchase the tulip one for $110, unframed. If you want the yellow flowers, make sure to attend the fundraiser! Feed the Beast, everyone. Give back to your community and help others. Follow me on Facebook, Twitter, and Instagram and follow this blog to be informed of amazing new paintings and deals! Contact me to receive my newsletter so that you see me at showings and receive notifications about SB Hansen Watercolor & Wine Painting Classes. Every one of my paintings is available as a print, and I sell signed greeting cards of all my images.